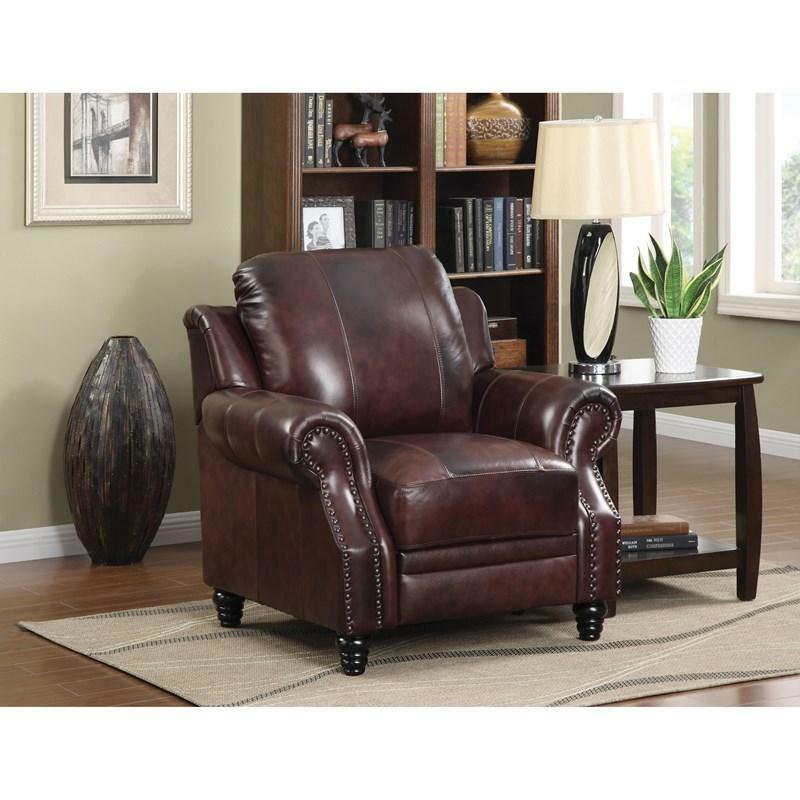 The Princeton 500662 Loveseat from Coaster Furniture is made with a top grain/split tri-tone leather featuring a brown color. 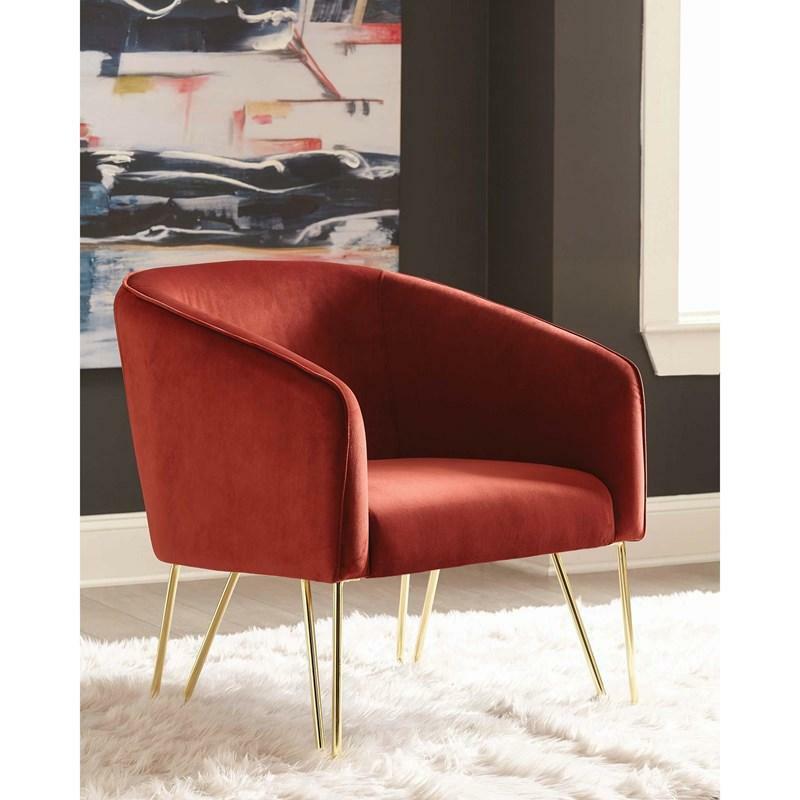 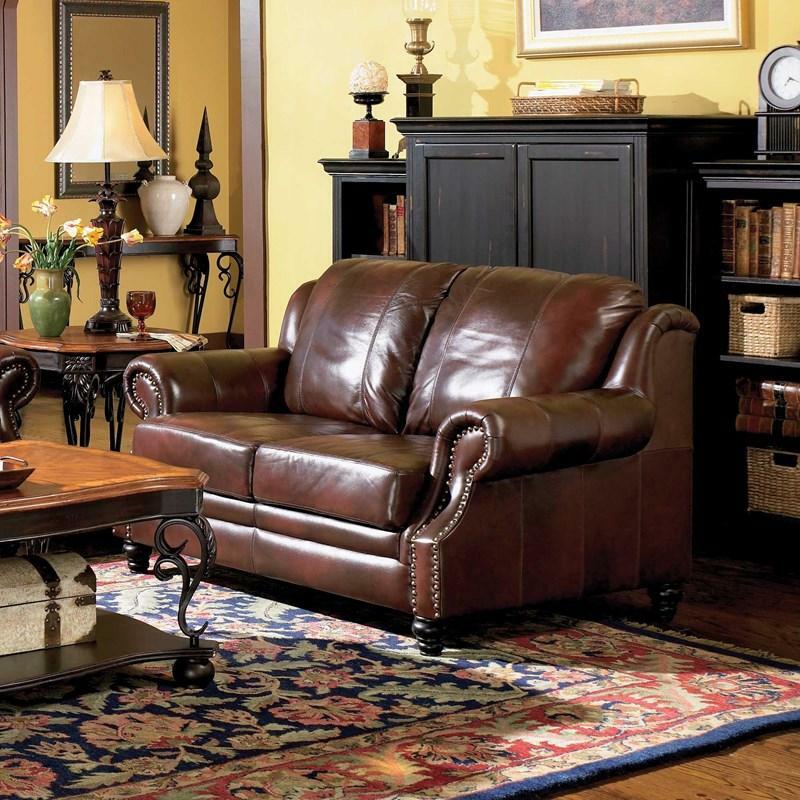 This loveseat features solid wood turned legs, nail-head trim, subtle line stitching and rolled styled arms. 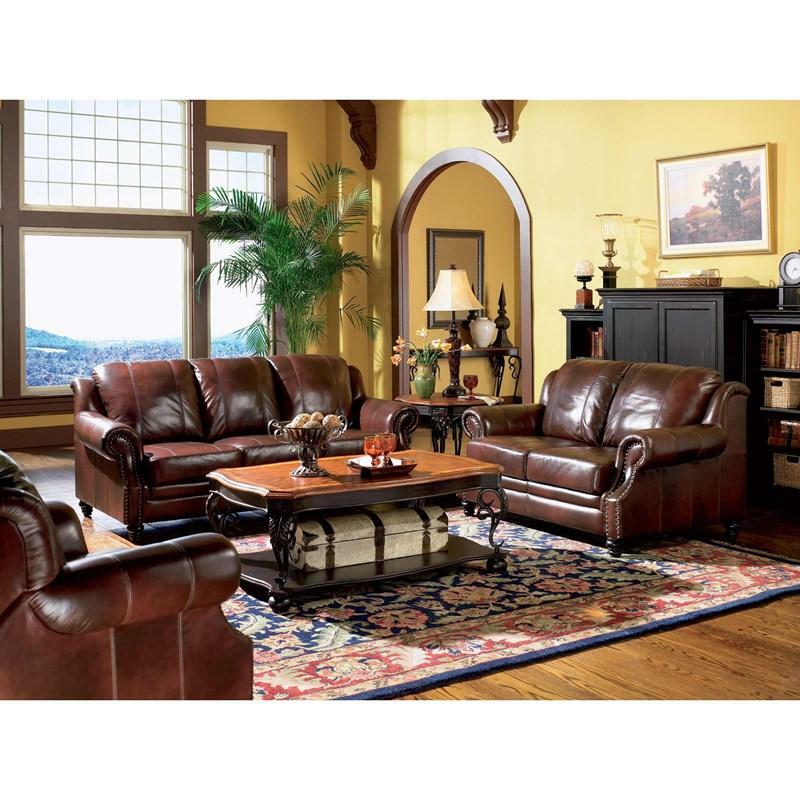 • Distance Of From Arms To Base: 22"
The Princeton Sofa from Coaster Furniture is made with a top grain/split tri-tone leather featuring a brown color. 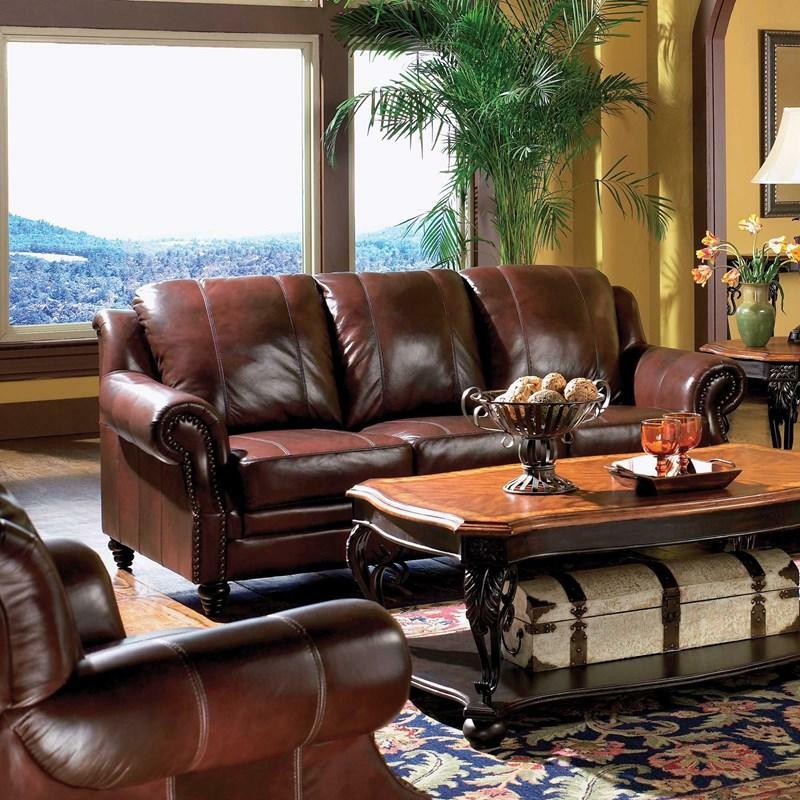 This sofa features solid wood turned legs, nail-head trim, subtle line stitching and rolled styled arms.